From the perspective of the hair restoration surgeon, follicular unit extraction (FUE) has always been a time-consuming and physically taxing method of extracting follicular units. The Powered Cole Isolation Device (PCID) changes this fact. 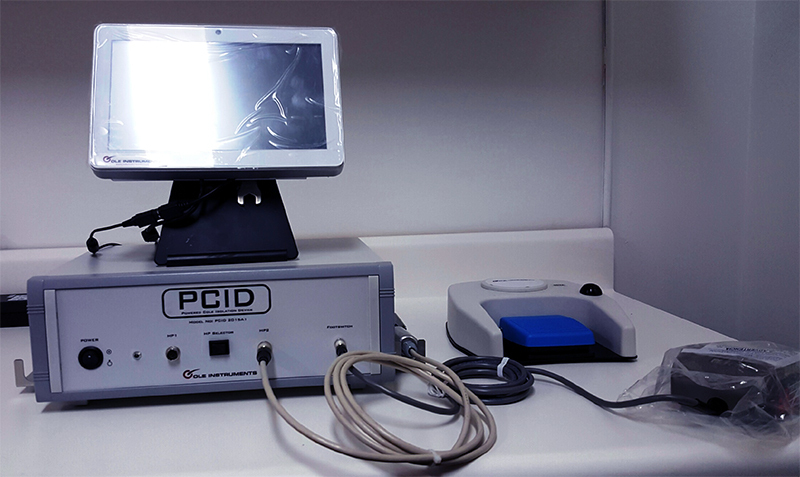 PCID is the only programmable follicular dissection device used to allow for the safest and fastest FUE ever, resulting in reduced costs in performing the procedure. PCID also has the benefit of reducing fatigue and repetitive stress injuries associated with the normal extraction of individual follicles. The PCID consists of a controller, a touch screen, a wired foot pedal, a wireless foot, a hand piece (though two can be used), and two safe holders. The hand piece used for the product is ergonomic, quiet to run, has no vibration when used, and is easy to clean. Its parameters are controlled with a touch screen pad using customized touch screen interface software. The parameters that can be used include rotation, oscillation, a combination of rotation and oscillation (rotoscillation), and a ramp function where the angle and speed can be ramped up or down. 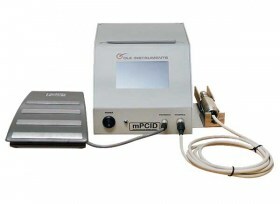 Once the parameters are set on the touch screen, a foot pedal starts the device that both runs the hand piece and measures the number of grafts dissected. During the procedure, a punch depth control is used with the hand piece. 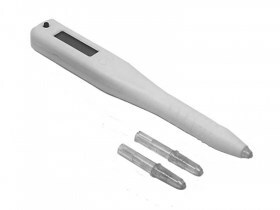 This is a variable depth control that helps limit the length of the punch that dissects into the scalp. To prevent sharp injuries from occurring when not in use, the hand piece is held by one of two safe holders attached to the PCID control box. 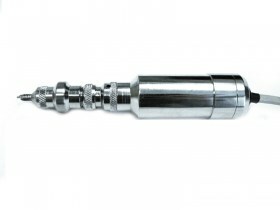 The safe holders are made of stainless steel and are autoclavable. With the PCID, Dr. Cole was able to extract over 2,000 grafts an hour. However, unlike predecessor devices, the PCID does not compromise the preservation of valuable grafts for the sake of speed. In his studies, looking at over 85,742 grafts, the average transection rate using the PCID was 3.41%. We anticipate that this rate will only improve with time. The average number of hairs per graft in this sampling was 2.7. The PCID works perfect. Thank you for the organization. I have seen this in a doctor's clinic, it is amazing! What is the cost for the PCID please? Does it also count the numeber of extractions made?